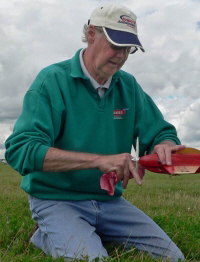 Was awarded to Brian Waterland at the BMFA Annual Awards ceremony. 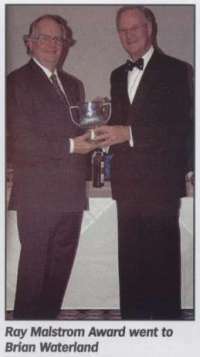 The trophy is awarded for services to aero-modelling outside the auspices of the BMFA and was presented to Brian by Sir Michael Alcock. Brian joins an illustrious list of former winners. Thanks to BMFA News for the photograph.